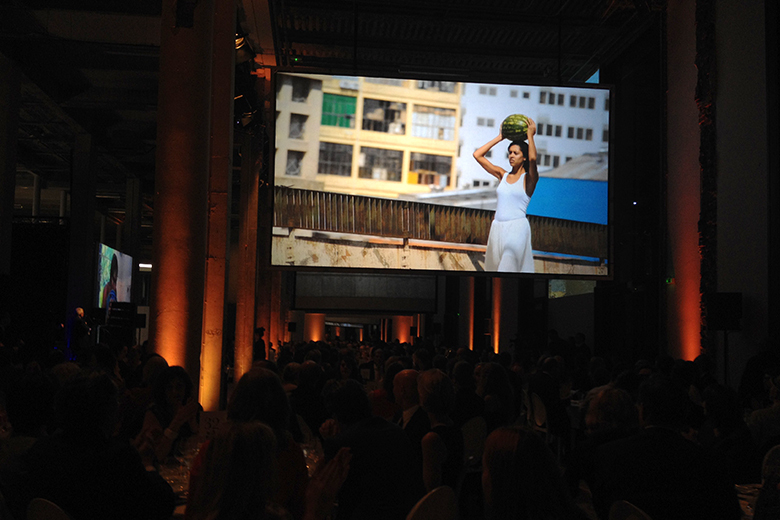 On the occasion of the celebratory dinner with Les Ami du Palais de Tokyo, Kréa’Art collaborated with Mexican artist Héctor Zamora as well as pastry Chef Pierre Hermé to create a unique experience. Tonight’s dessert was concocted and provided by Chef Hermé, emulating his personal associations between a watermelon and sexuality. 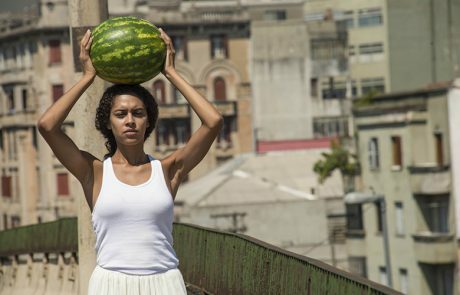 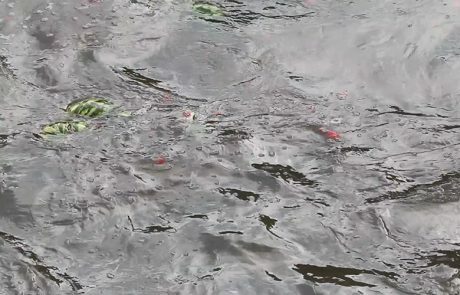 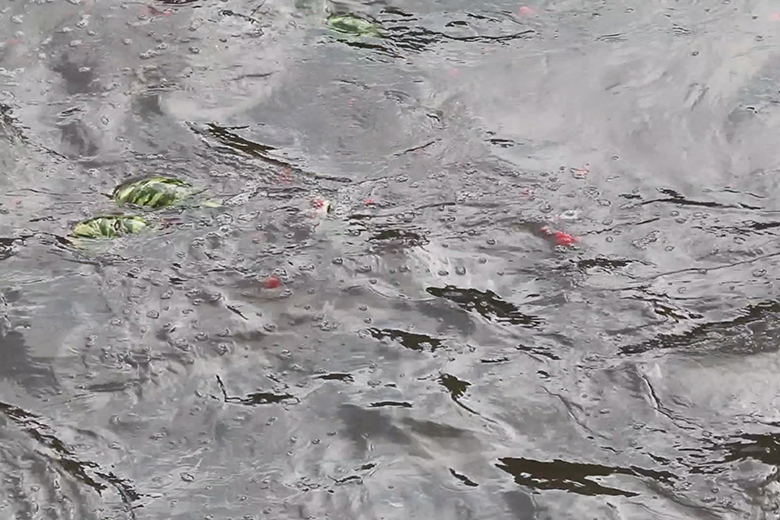 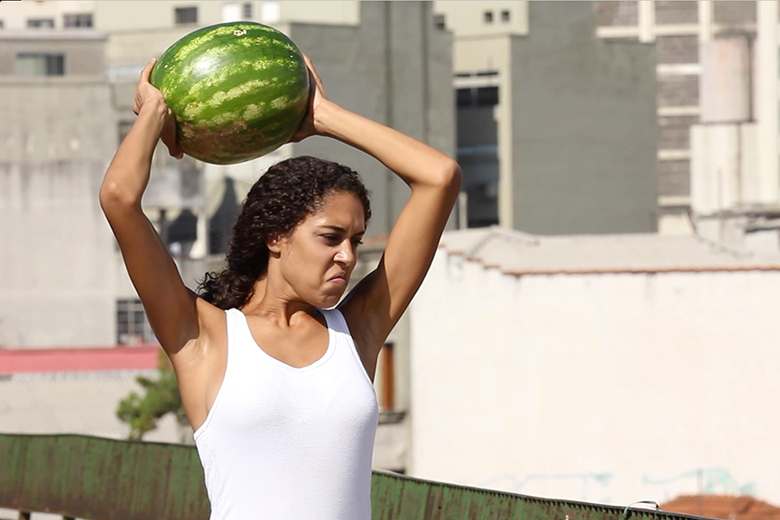 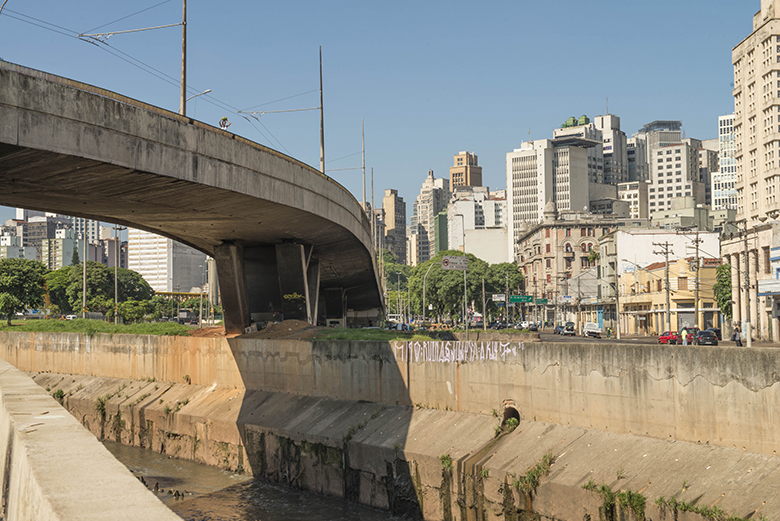 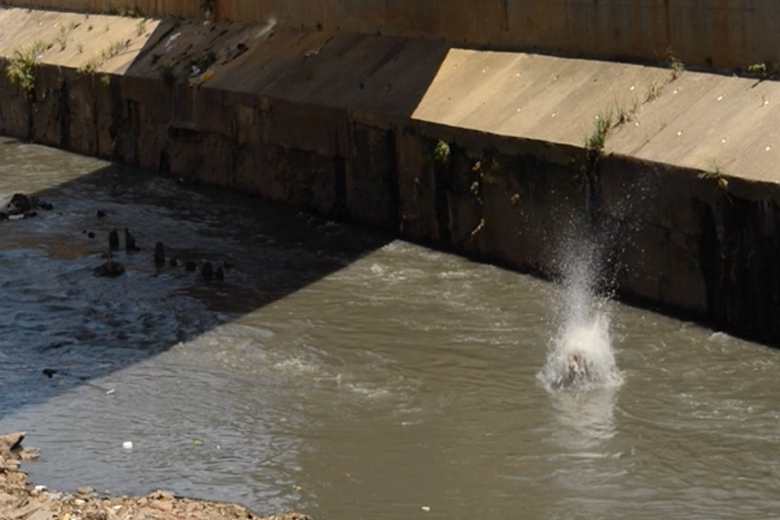 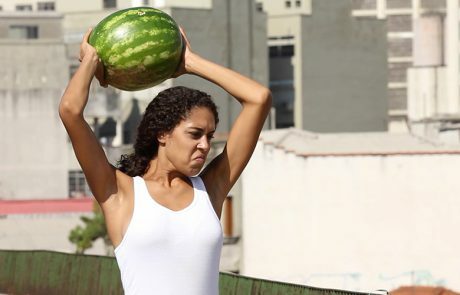 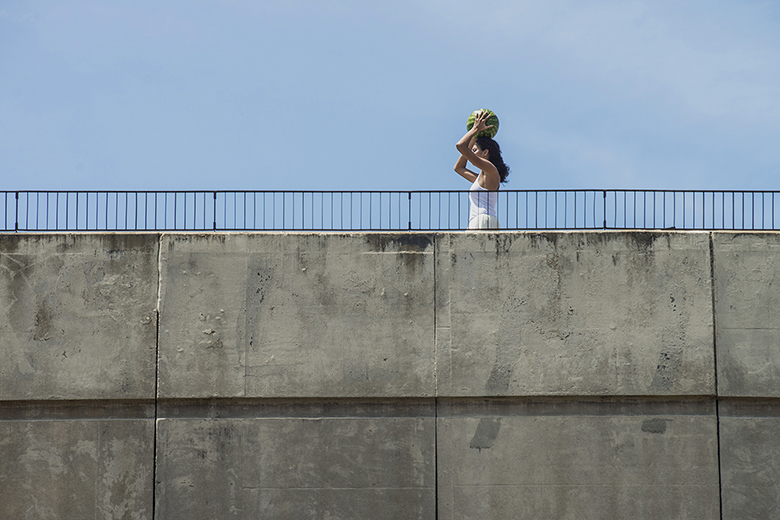 Conceiving a tasty and sensual vocabulary, the film footage around you creates a setting and oscillates between excerpts from the Brazilian pornochanchada film ‘Contos Eróticos’ (1977) and Zamora’™s own footage of a woman disposing a watermelon from a busy viaduct in São Paulo. Cracking the shell of a watermelon and exposing its bowels that melt in your mouth, juice is running down your arms and mixes with the mighty dim rivers of the big city. 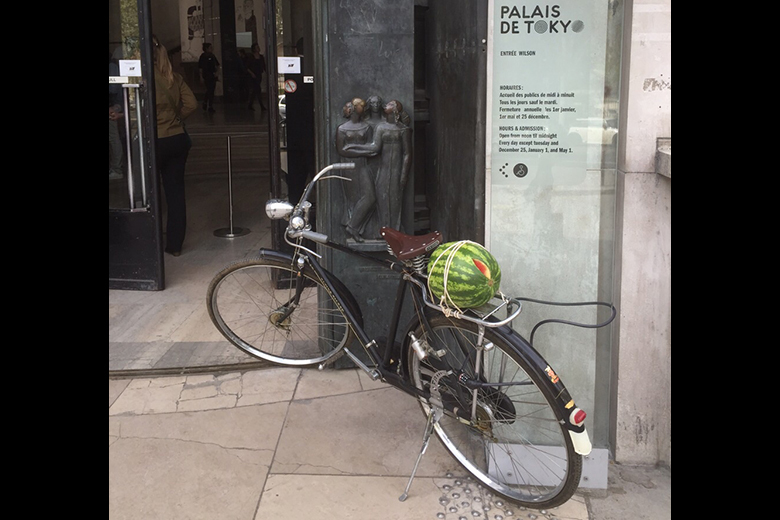 How to merge intimacy and surface, juice and concrete? 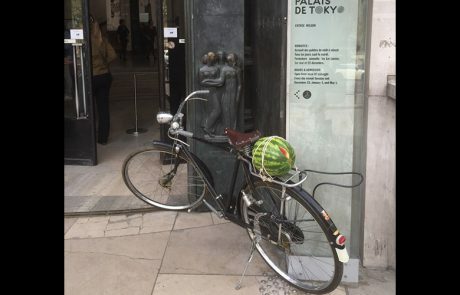 This suspicious dichotomy and the instinctive immersion of the visitor with the fruit, creates another dimension of how we relate to organic and inorganic material. Zamora wants to see his public drain, melt and swallow the pulp. 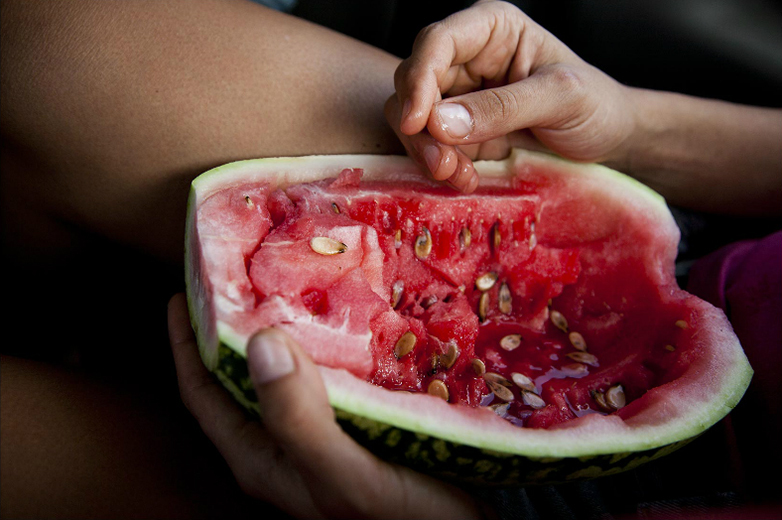 Blending mashed fruit with our own saliva, the surreal and absurd become one with the human act of devour. That ‘˜strange fruit’™ brings a juicy secret sensuality of desire and loneliness: For the sun to rot, for a tree to drop, here is a strange and bitter crop. 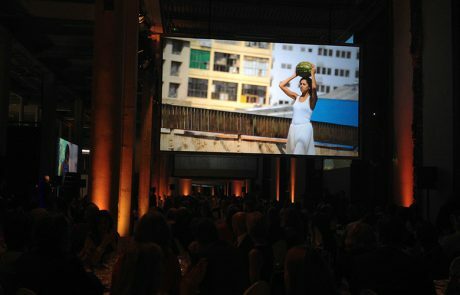 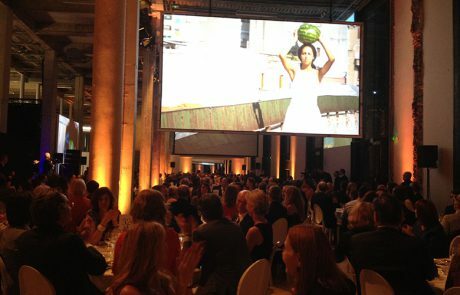 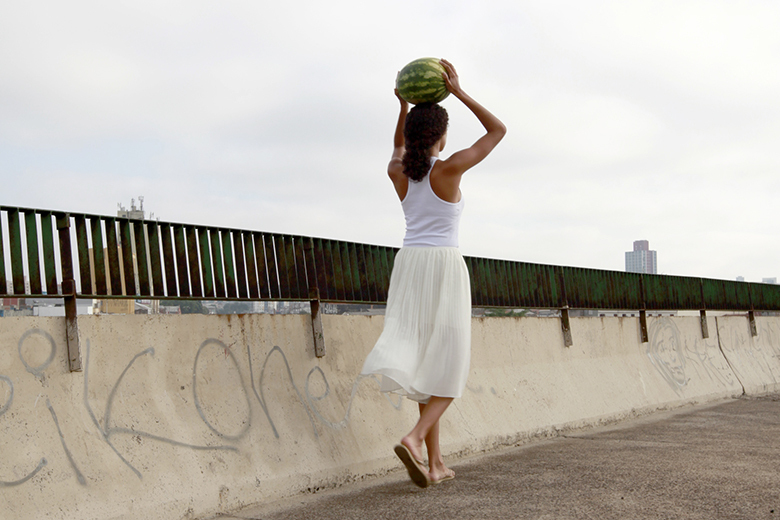 Tonight, somewhere near you, Romina de Novellis has been performing with a watermelon.